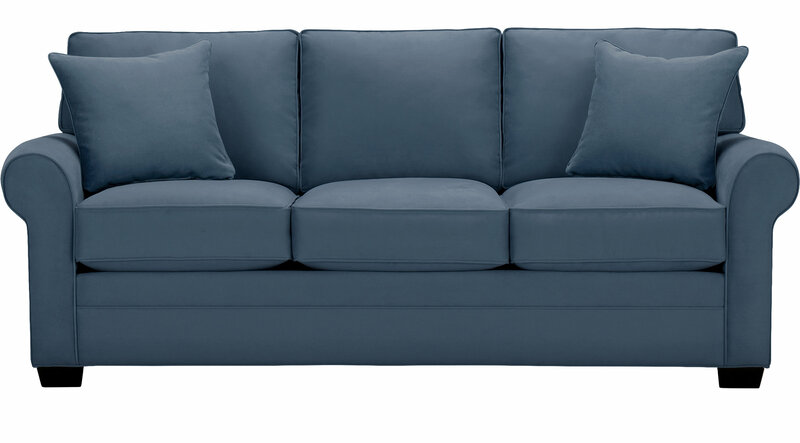 The Cindy Crawford Bellingham Sleeper Sofa has contemporary details like wood block legs, double welted box cushions, and indigo colored microfiber. This couch is not only attractive, but also practical. Easily wipe away spills on the stain resistant plush, fabric and pull out a comfortable queen sized Sealy Royale mattress with a quilted top for maximum guest comfort.